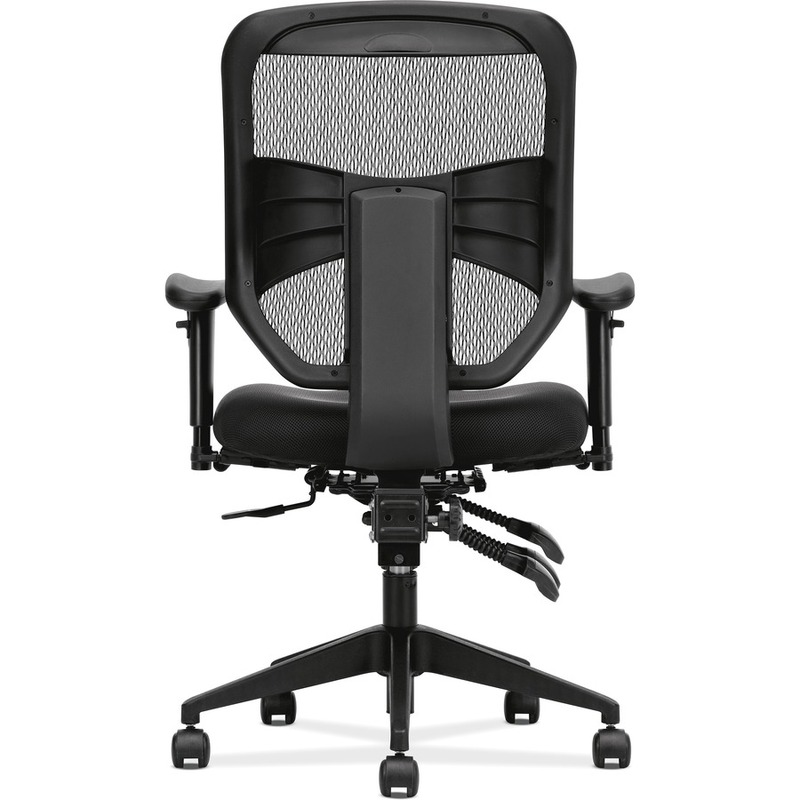 Designed to offer maximum comfort, support and functionality, this high-back task chair offers a breathable mesh back, high-quality fabric seat and comfort adjustments to adapt to nearly every body. 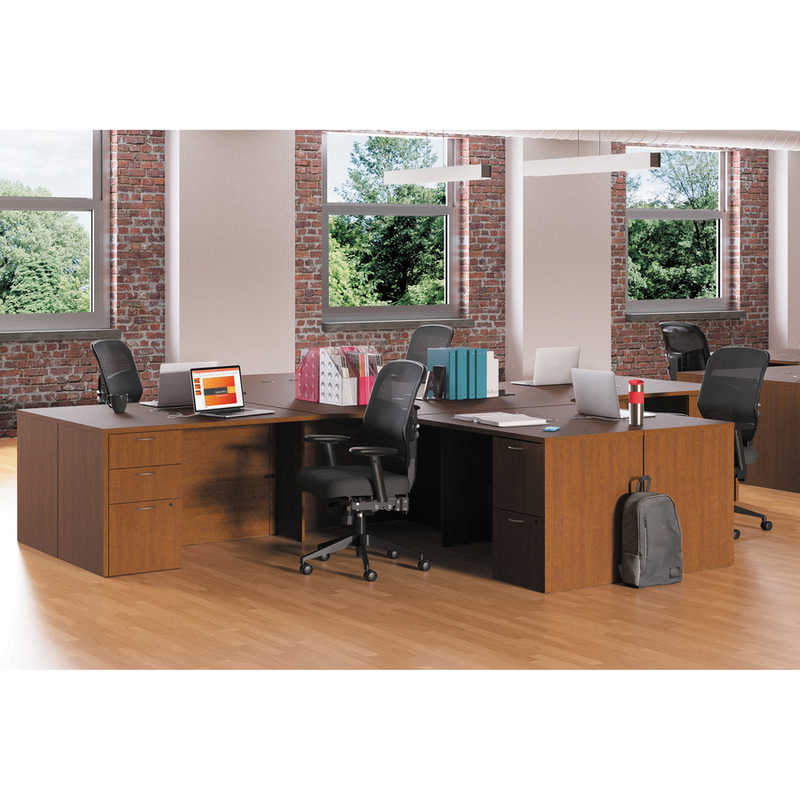 Asynchronous control uses multiple independent controls to provide the widest range of comfort options. 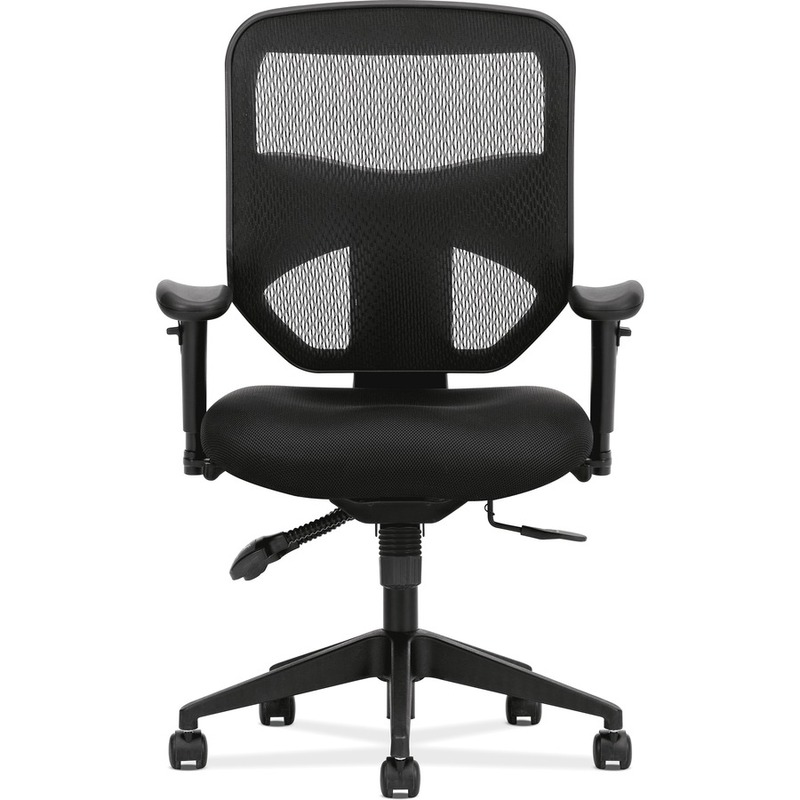 The padded, upholstered seat and mesh back give this chair an upscale feel. 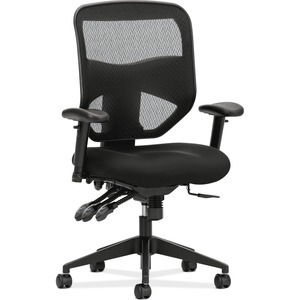 Durable, polyester seat upholstery features Nano-Tex soil and stain protection. 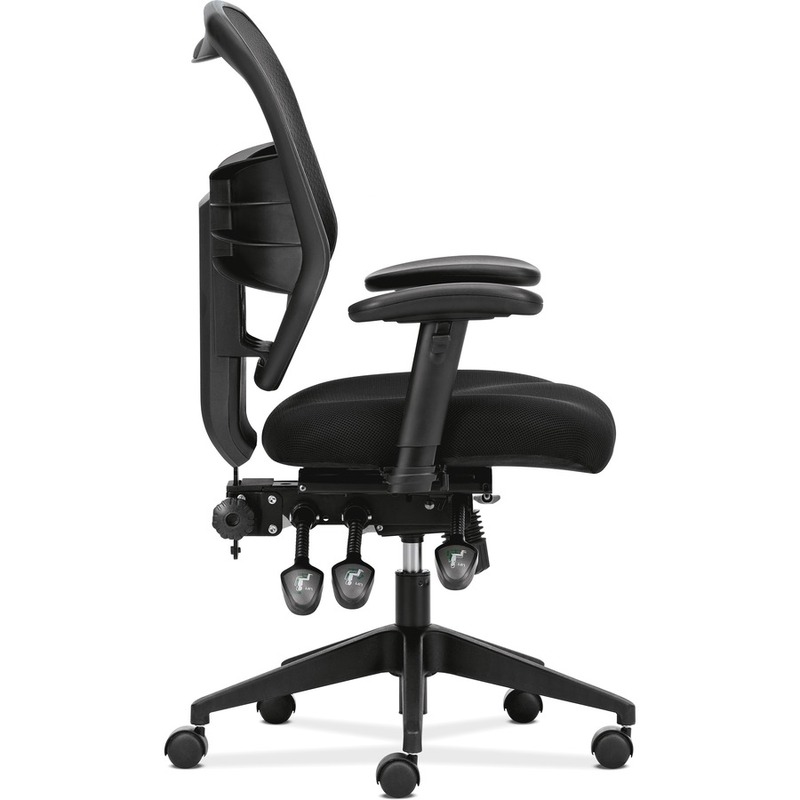 Executive task chair has adjustments for seat height from 17" to 21", back height from 41" to 44-1/2" (from floor), and arm height and width to fit your body. Arms adjust out to a 22-7/11" width and to an 11-7/8" height. 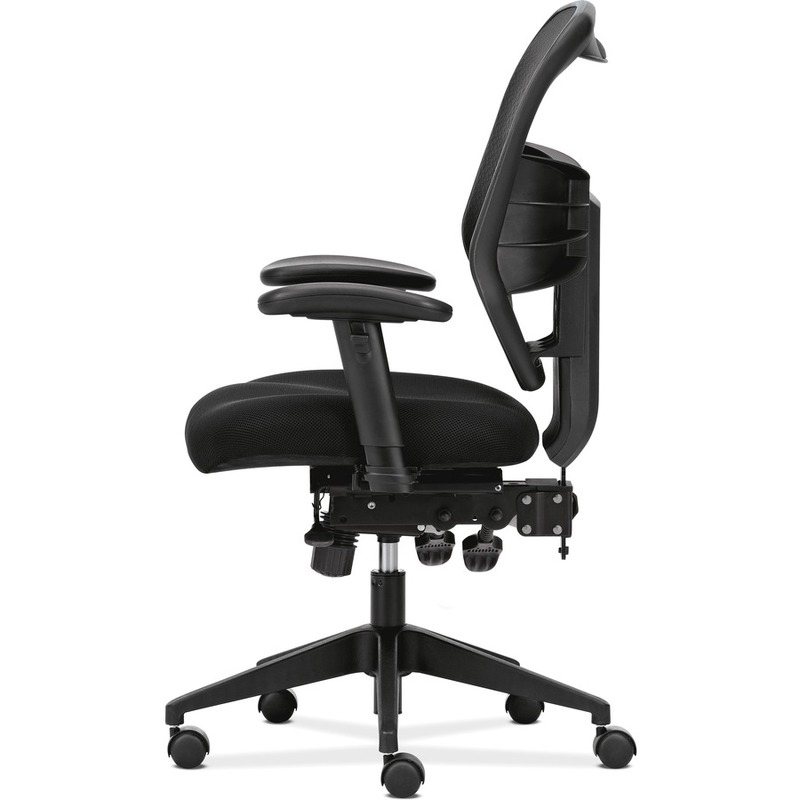 Black five-star base is made of sturdy plastic and equipped with dual-wheeled casters for easy mobility. Weight capacity is 250 lb. 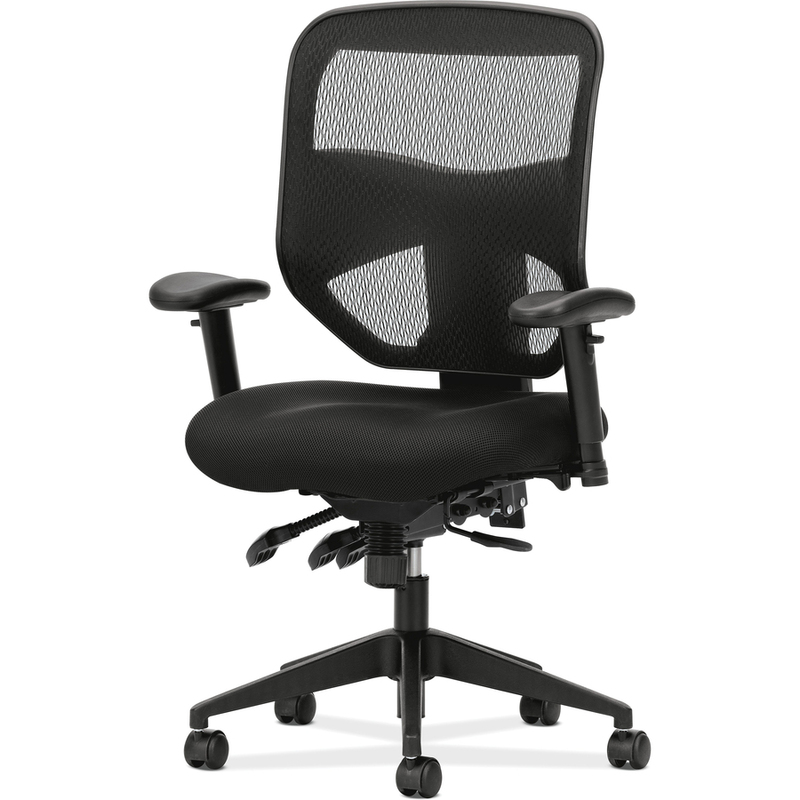 Seat size is 20-1/2" wide x 20-1/8" deep. Back measures 19-1/8" wide x 24-1/5" high.